Do not buy. 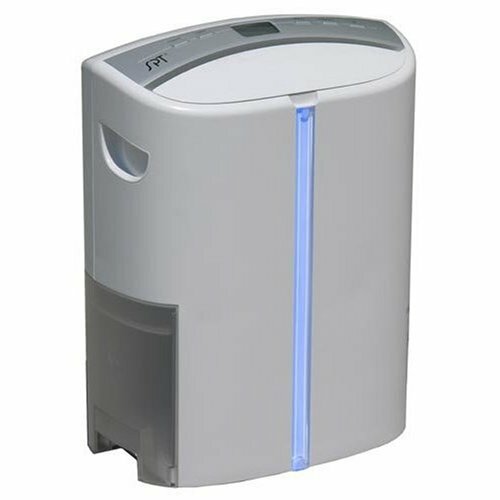 This dehumidifier is quiet, but it does not collect much water. I purchased this unit based on the manufacturer's claims of quiet operation and a 46-pint capacity. I had purchased a Kenmore 50-pint unit from Sears, but I was not happy with the noise level of that unit. I was impressed with the SD-46T's noise level. Very quiet. The UV light seemed to be a good idea, though I am not sure how to verify it is killing bacteria. SD-46T = Small amount of water, but quiet. I chose to keep the noisy Kenmore that dehumidifies very well, and I returned the SD-46T.